We are at or near a top. If we get a repeat of late Aug and early Sept (Wall cycle topping with half Wall bottoming) then we get a 4-5% pull back into mid Jan a retest of current highs by mid March. I have been reading Gann's books these past 3 weeks and one of the turning points he mentions is Jan (simple statistics) especially if averages rally into it. Another thing is the anniversary dates: March and Oct. SPX high Mar 2000 & bottom Oct 2003. Then, high in Oct 2007 and low in Mar 2009. Based on this I was thinking along the same lines. 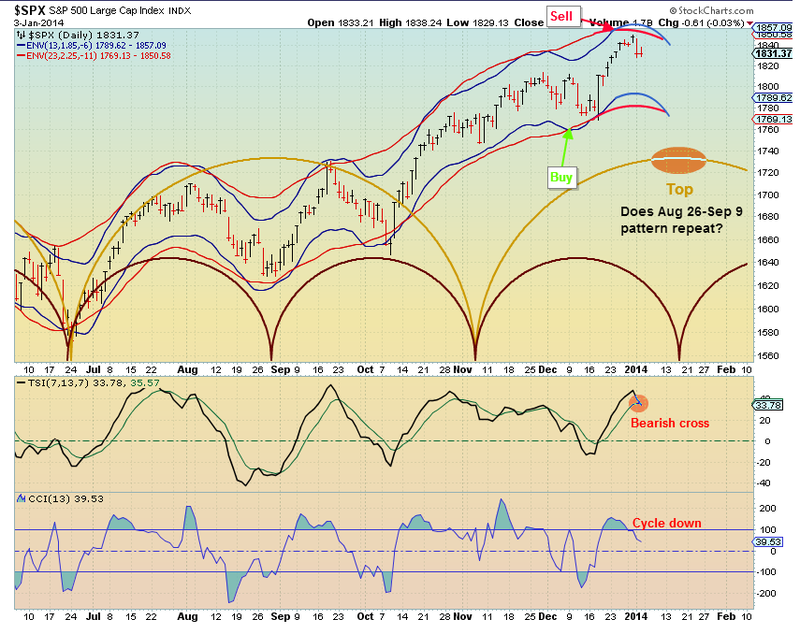 Also there appears to be a rising wedge in SPX. Final high at the tip of the wedge by March? 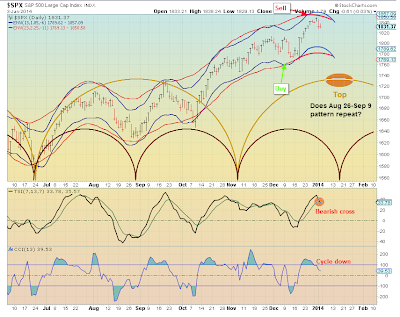 appreciate your comments and information, I am no expert on Gann but know his work is well respected.